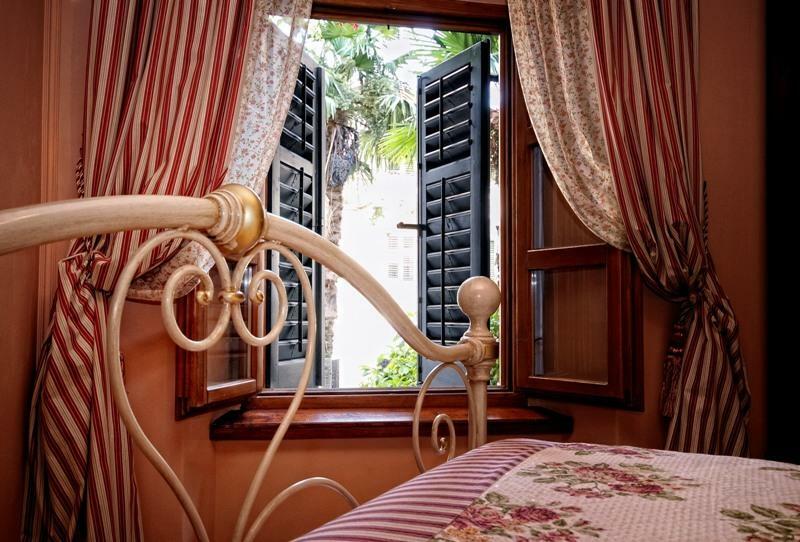 Hotel Monte Cristo is a very cute boutique four-star hotel in historic Kotor old town. 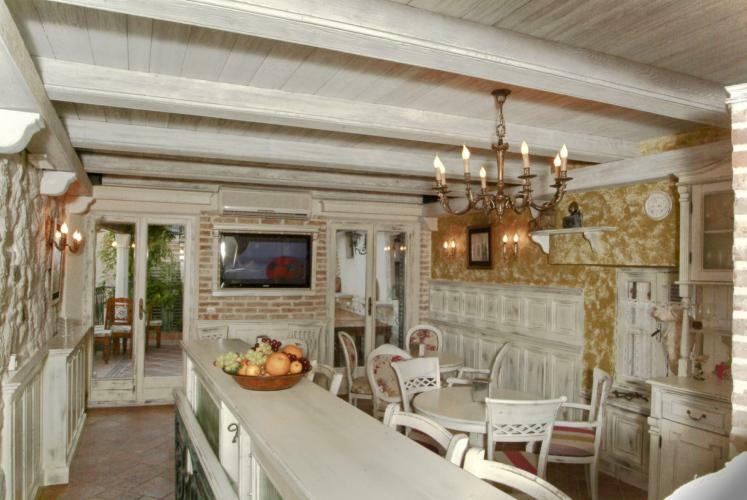 The tastefully renovated building was once the home of the First Bishop of Kotor and the hotel still bears some original features form the Bishop’s residence – no mean feat since Kotor old town was completely ruined in an earthquake in 1979! 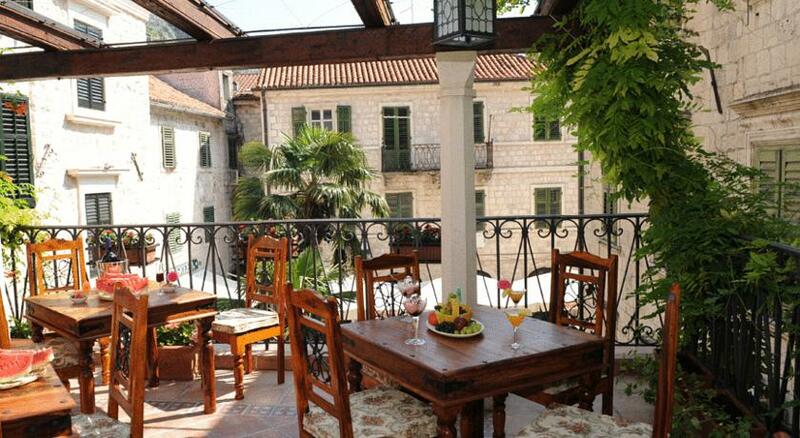 Hotel Monte Cristo is located in the heart of Kotor old town. It’s next to the maritime museum and opens out onto Museum Square. Being in Kotor old town means you're so central to all the attractions and entertainment in Kotor. It's a very scenic spot, with the backdrop of mountains and the town that opens out onto the Bay of Kotor. However, when staying anywhere in the old town between April and October you should expect a certain amount of noise from tourists and restaurants. There's often music and people walking around until the early hours, which will suit some to a tee! If you don't like the thought of being in the middle of the action, I'd suggest having a look for another Kotor Bay hotel. There are plenty of nice options outside the old town. You can choose from nine rooms and apartments here. 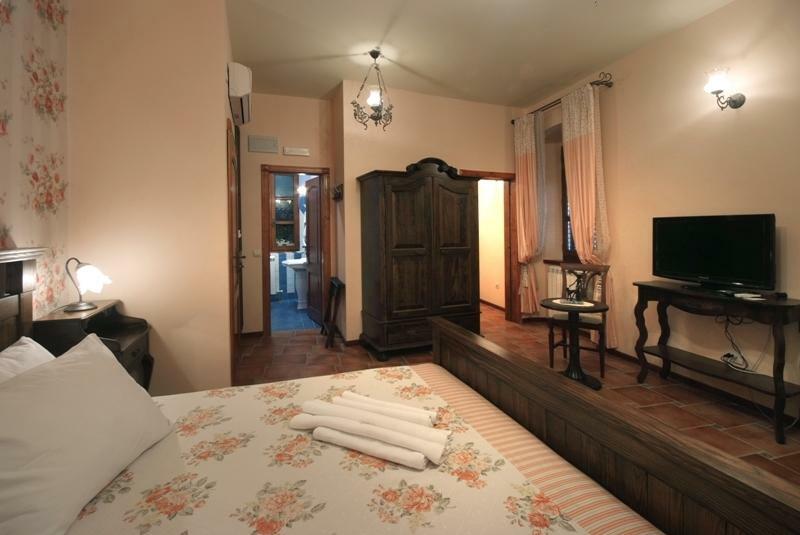 I like that the interior detail of the hotel and rooms has been carefully chosen to match Kotor’s historic atmosphere. 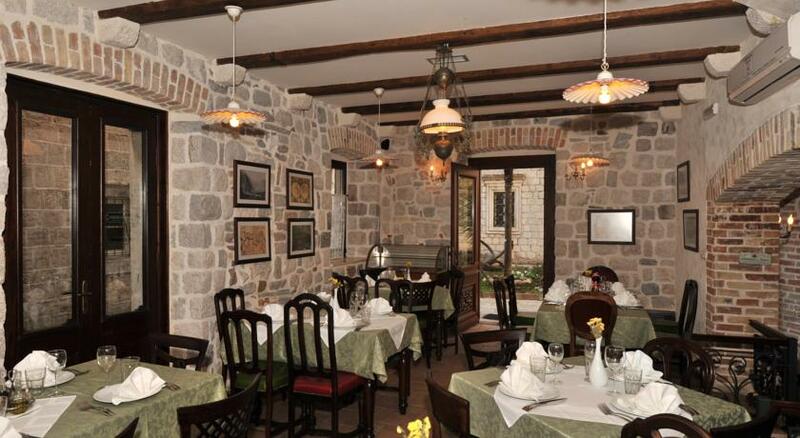 You feel like the decor is an extension of the historic town. The rooms are comfortable, warm and welcoming. 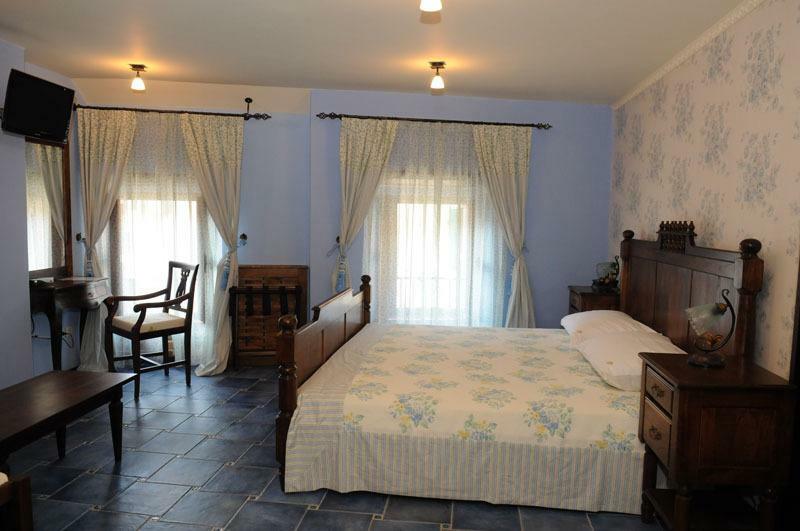 There are two standard double and two twin rooms available. There's also one studio apartment, two apartments that sleep three and apartment that sleeps four. So there are rooms for all kinds of travellers. I like that they have twin rooms, not all hotels here offer a twin option. Click here to find deals for Hotel Monte Cristo. The upstairs dining room is adorable. Like the rest of the hotel, it's cosy and quaint. They also have an expansive vine-shaded terrace that overlooks Museum Square. You can have breakfast either in the dining room on on the terrace and I have to say, I don't know if there's a better place to have breakfast in all of Kotor! 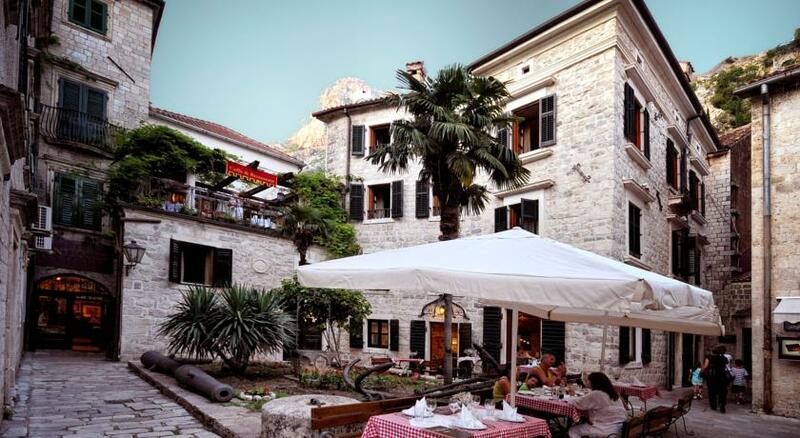 The best place to breakfast in Kotor? It just may be! They also have a restaurant on the ground floor of the hotel called Luna Rossa, which is ideal for lunches and dinners. They also have seating out in the square which is for whiling away warm evenings. It's the perfect place to try delicious Montenegrin-style meat and seafood dishes like mussel buzara (mussels in a tomato sauce). 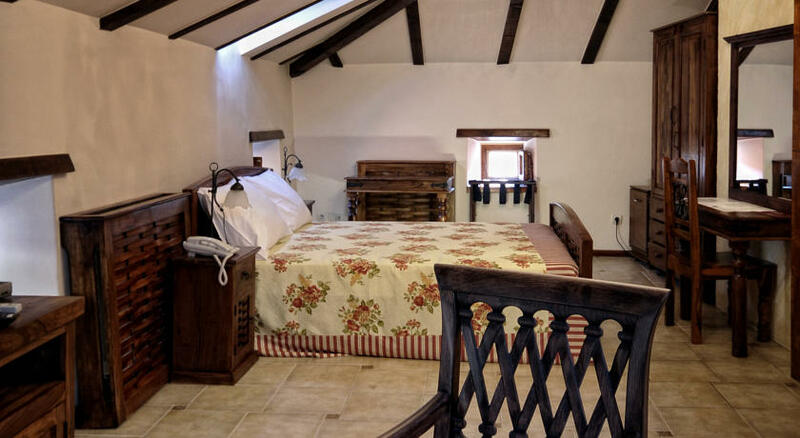 Standard Rooms start from €75 per night. 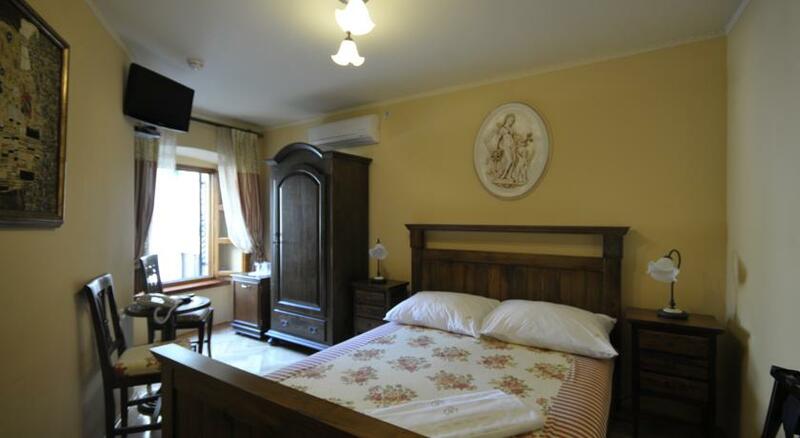 Deluxe Twin Rooms start from €90 per night. Studio Apartments start from €115 per night. Three Bed Apartments start from €130 per night. Four Bed Apartments start from €150 per night. If you're looking for a good quality and cosy boutique hotel in Kotor, you should definitely consider Hotel Monte Cristo.